We can embroider on almost any fabric. We have a huge array of items to choose from in various fabrics, colors and prices. 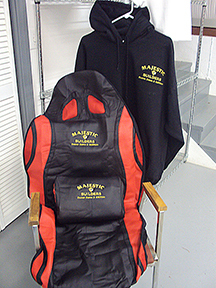 Besides all types of clothing, we can embroider on tote bags, aprons, towels and anything else made with fabric.